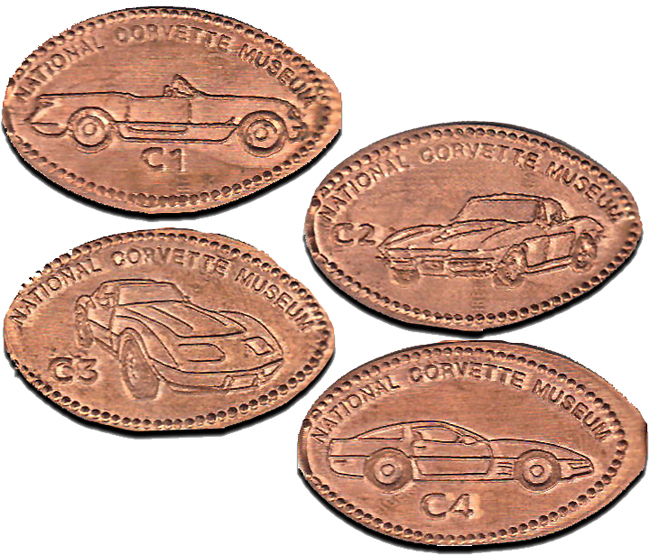 The National Corvette Museum is a 115,000 sq ft building which houses 80+ of the iconic General Motors sports cars, spanning the full history of the vehicle. The museum has an extensive gift shop, as well as a cafe. The penny machines are located on opposite sides of the lobby. Machine #2 is the standard design, while machine #3 is shaped like a jukebox. Both are 4-die machines with eight total designs. The jukebox-style machine does not always press the selected coin (skipping ahead to the next design).